Submitted by flatcoke on October 14, 2016 - 1:16pm. Last panel: You know you are a true Canadian when the only thing distinguishable thing between your hand and a maple leaf is the color! 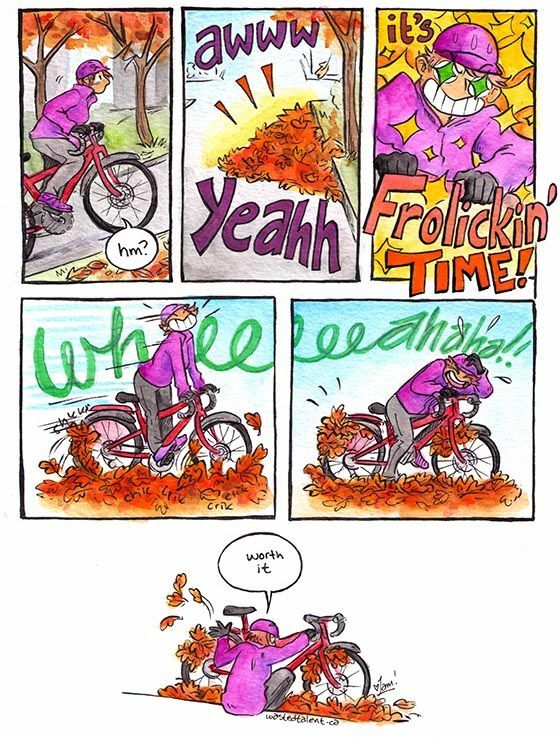 Our leaf piles are already mushy. Window missed. In a week the rain will turn them all to mush so you gotta get while the gettin's good!